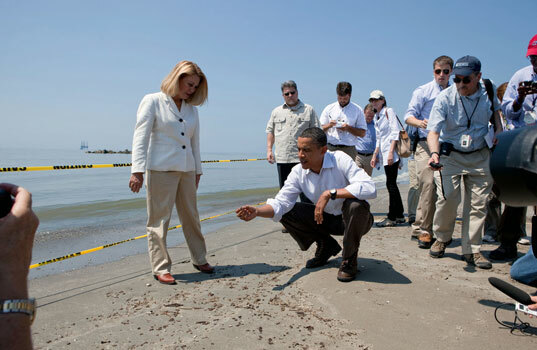 In an effort to regain his image as the tough commander in chief, President Obama took a moment to directly address the nation last night about the Gulf Coast oil spill. In the first Oval Office speech of his presidency, he took a hard stance against BP calling them “reckless”, noting that they will pay financially for all damage done to the environment and livelihoods of Gulf Coast residents, and then moved took the opportunity to tell the American public about the benefits of clean energy. He reminded the nation of his commitment to restore the natural beauty of the gulf and committed to using this disaster as momentum into the future of renewables. He noted the reorganization of the corrupt Minerals Management Service and his plan to make this agency into an “organization that acts as the oil industry’s watchdog — not its partner.” He didn’t stop there, however – he used the moment to talk about the fact that just cleaning up the corruption in this agency was not going to solve our problem and that removing oil from our lives was the only way. He discussed the decades of inaction on the part of the United States to move away from our tragic addiction to fossil fuels, noting, “the consequences of our inaction are now in plain sight…we see an entire way of life being threatened by a menacing cloud of black crude.” He then moved on to stress the importance of making clean energy technology a cornerstone of our economy. “So one of the lessons we’ve learned from this spill is that we need better regulations, better safety standards, and better enforcement when it comes to offshore drilling. But a larger lesson is that no matter how much we improve our regulation of the industry, drilling for oil these days entails greater risk,” Obama said in his address. He went on to detail that the US consumes about 20% of the world’s oil but we hold only 2% of the Earth’s reserves and that is the main reason oil companies have to take such risky measures — like drilling a mile below the surface in the Deepwater Horizon’s case — to procure the petroleum to satisfy our needs. “We cannot consign our children to this future,” Obama firmly noted, “the tragedy unfolding on our coast is the most painful and powerful reminder yet that the time to embrace a clean energy future is now. Now is the moment for this generation to embark on a national mission to unleash America’s innovation and seize control of our own destiny.” Now is the time to take this tragic disaster and move toward a green future. How much money should I take this fall to study abroad in Italy? 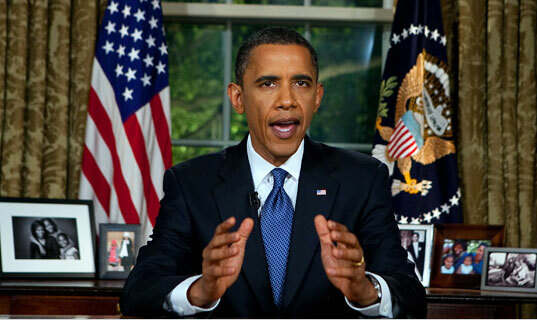 Obama addressed the nation about the Gulf Coast oil spill from the Oval Office. 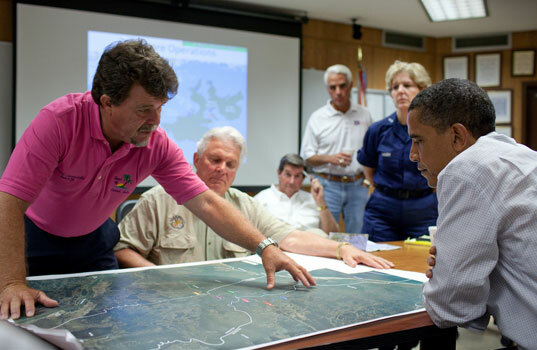 In an effort to regain his image as the tough commander in chief, President Obama took a moment to directly address the nation last night about the Gulf Coast oil spill. In the first Oval Office speech of his presidency, he took a hard stance against BP calling them "reckless", noting that they will pay financially for all damage done to the environment and livelihoods of Gulf Coast residents, and then moved took the opportunity to tell the American public about the benefits of clean energy. He reminded the nation of his commitment to restore the natural beauty of the gulf and committed to using this disaster as momentum into the future of renewables.